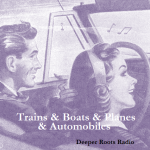 Deeper Roots takes on a theme this week… one that has us on the road, the rails, the ocean deep, and soaring in the clouds. 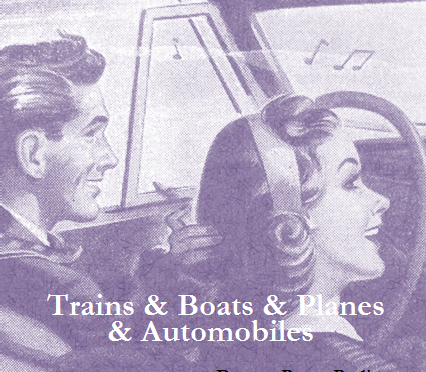 We speak, of course, of our modes and muse of transport in music. There’s a variety of styling to be had including blues from Snooks Eaglin and Lightnin’ Hopkins, 50s country from Cowboy Copas and Bonnie Guitar, pop sounds from Jo Stafford and the Modernaires, and a host of others that all support the theme of the day. Tune in for another roots-infused Wednesday evening on KOWS, the heart and voice of West Sonoma County, California. 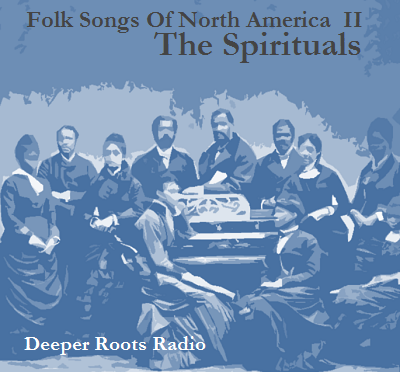 The second installment in our exploration of the Alan Lomax book of the same name, this time focusing our energies on tradition in gospel and spiritual. Leader-chorus work songs to lighten the load of heavy labor; dancing songs to quicken the spirit on those rare holidays; and spirituals to replace their lost African religions and to console in times of physical torment and spiritual degradation are all captured here, including the stories and lineage behind the original pieces. 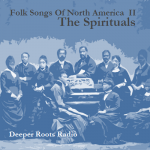 We’ll hear from a diverse selection of performers including The Dixie Jubilee Singers, Odetta, Nina Simone, Tom Waits, Eva Cassidy, and many others. 35 Willie Eason With The Campbell Brothers When The Saints Go Marching In Sacred Steel – Live!